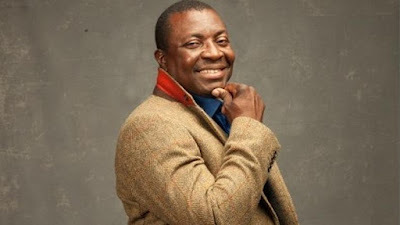 Ali Baba has come out to give some married advice to the ladies out there, the veteran comedian who made a post on his Instagram page said that ladies should seek financial independent before getting married. According to him, gone are the days when a woman would totally depend on a man for everything. That era of being financially dependent on a man expired many years ago. Sadly, very few women started late to realise that they also had the equal PERSONAL requirements to make themselves, FINANCIALLY INDEPENDENT. MANY of the men who also believed that women should not be financially independent were also everywhere. And with time, many of those men, where in places of authority and economic positions of influence. Such men also started to see that many women were a threat to their masculinity. And did everything to block them. Like a woman can not bail anyone arrested. Women can not rent properties.... They failed to accept that women were capable of pulling their weight when shouldered with responsibilities, BUT DID BETTER THAN THE MEN, who went head to head with them. And still play their roles as women. In school, you will remember, if you want to be honest, there were ladies who were constantly in 1st to 10th positions. And there were heavy men, who were unashamedly in the 30th to 32nd positions. That was the start. It became more glaring that women can be equally smart and even smarter. Many of these men, were in any case being taught by women, as teachers, lecturers and professors. So, gradually, the thought of a woman being DEPENDENT ON any man started fading. Especially when the men started having them as bosses, and learning under their feet. Humbling. However, it needs to be further emphasised in these day and age, that the days of a woman being DEPENDENT are gone. Or nearly gone. So, it's clear, that financial instability of women is the major reason many wpmen don't get treated like they should. It turns relationships to cash and carry or business transactions. It also then makes many men believe, that financial independence will take away their power. Only WEAK MEN think like that. And women who think they must go into a relationship because its their only way to financial stability are the ones who empower them.